Sometimes if we look at complicated English words we can see that they are made up of smaller easy words. Companion is a good example of this. 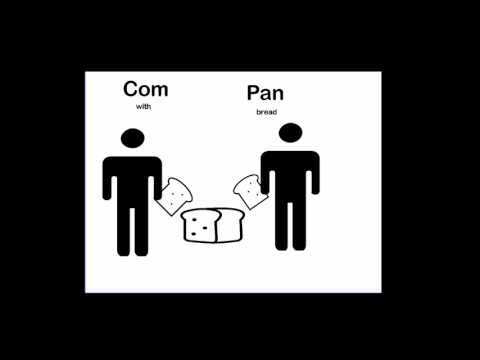 It is a combination of words for “with” and “bread”. A companion is somebody we share bread with, somebody we go out to eat with. An easier word is friend. Usually when we go out to eat with our friends we spend a lot of time talking together. That is a great way to build a friendship and a great way to improve your English. Talking with another person. Who do you know that you can practice English with? Why don’t you find some time to go out to a cafe together and have a chat?